In order to investigate the differences between private school and public school athletics, Viking interviewed Varsity athlete and D1 recruit, Jack Devine. 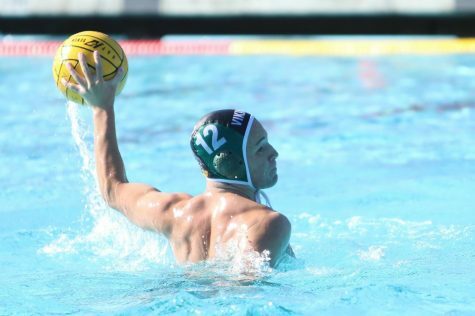 Devine, a junior, lives in Palo Alto, and had he decided to attend public school, he would be enrolled at Paly. Devine excelled at athletics in elementary and middle school and because of this, elected to attend Bellarmine College Prep. Since then he has continued to improve at both football and lacrosse. He is currently the backup Quarterback of Bellarmine’s football team and has already committed to play lacrosse at Marquette University. VIKING MAGAZINE: What is playing sports like at a private school compared to a public school? JACK DEVINE: I haven’t witnessed it firsthand, but from what I’ve heard, I think it’s a bit more of a commitment if you’re playing a private school sport. JD: With Bellarmine Football, during the summer, it’s every single day twice a day five days a week. And then during the season we have morning practices Monday and Wednesday from 6:30 to 8 [am], and practice after school from 3 to 5:30 [pm]. It’s a lot. VM: Why did you decide to go to Bellarmine? JD: Summer going into 8th grade, one of my best friends from lacrosse told me all about Bellarmine. I literally had no clue about it until he told me about it and my parents loved it. I wasn’t so sure. So I took the test, I got in and my parents really really wanted me to go so I decided to go there and I do not regret the decision at all. VM: What was your college recruiting process like? JD: I’ve been trying to get recruited since 8th grade and I’ve been going to tournaments on the east coast, trying to make a name for myself. Last summer was the summer where I finally got attention from college coaches. I got offers from Marquette, UMass and Loyola. It’s a hard decision to decide where you’re going to go to school but I think Marquette’s a really good fit for me because I visited, I know a lot about it, it kind of seems like the perfect fit for me.